I haven’t done much knitting on the sleeveless top I was working on but I did make another pair of socks using Dorothy’s Slipped-Stitch-Spiral sock pattern. This was the same XXL Trekking plus a different colorway of another bargain (97 cent) sock yarn. 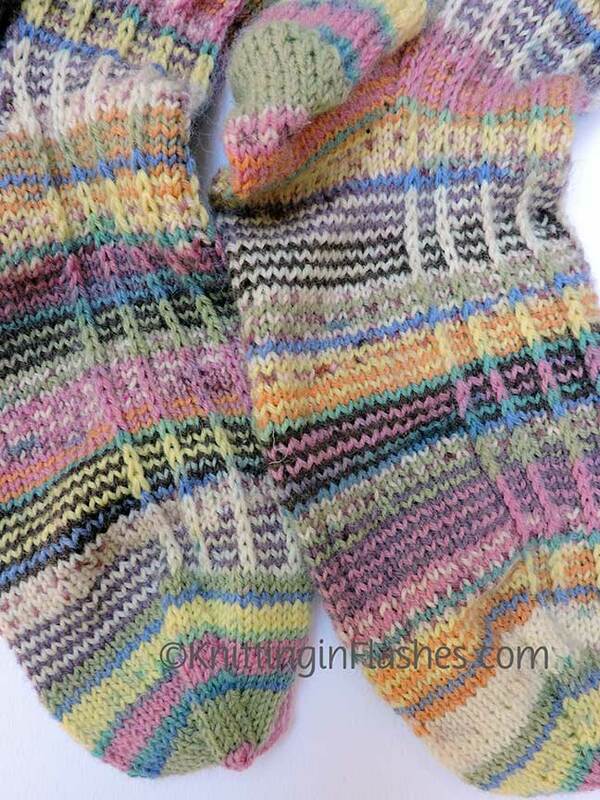 It was self-striping as opposed to self-patterning. 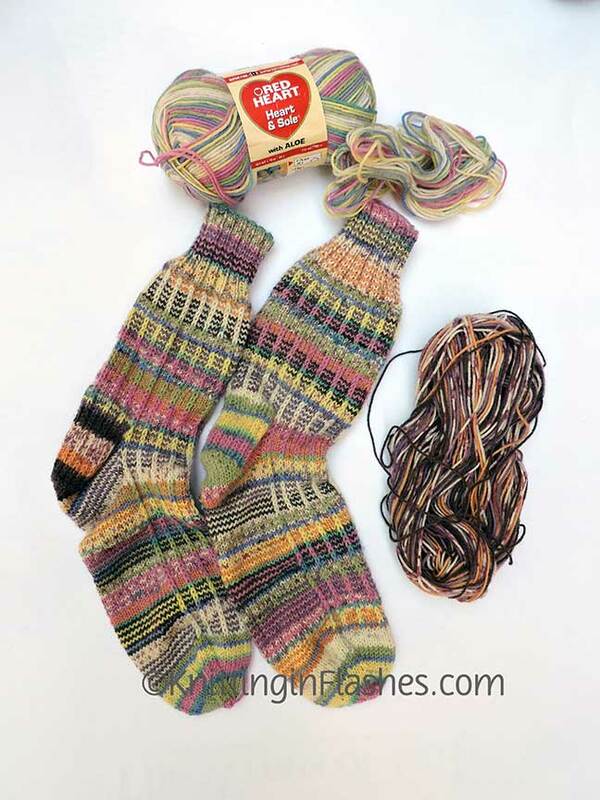 I thought I was going to run out of the striped yarn so I used the Trekking for the second heel. Turns out I probably had enough. The pink and pale yellow make these pair much brighter than the previous pair. I don’t know if that’s a good thing or not. They are just different. 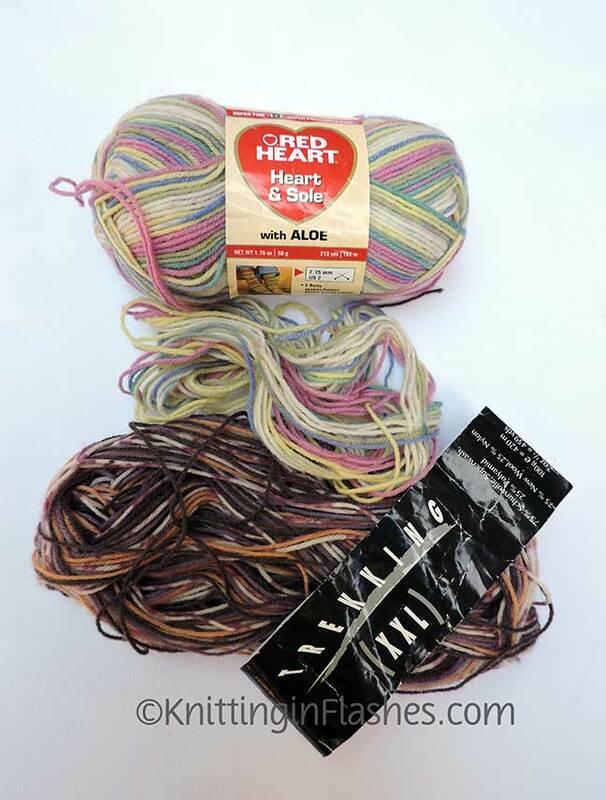 This entry was posted in knit, knitting, sock, yarn and tagged finished object, knit, knitting, sock, socks, yarn by Patti_is_knittinginflashes. Bookmark the permalink. Really nice. I love your socks!